In the US, somebody would sue the gym. Seriously. In my life, every day is a cheat day. It shows that whoever runs the gym is ignorant about health and fitness and undermining her customers. 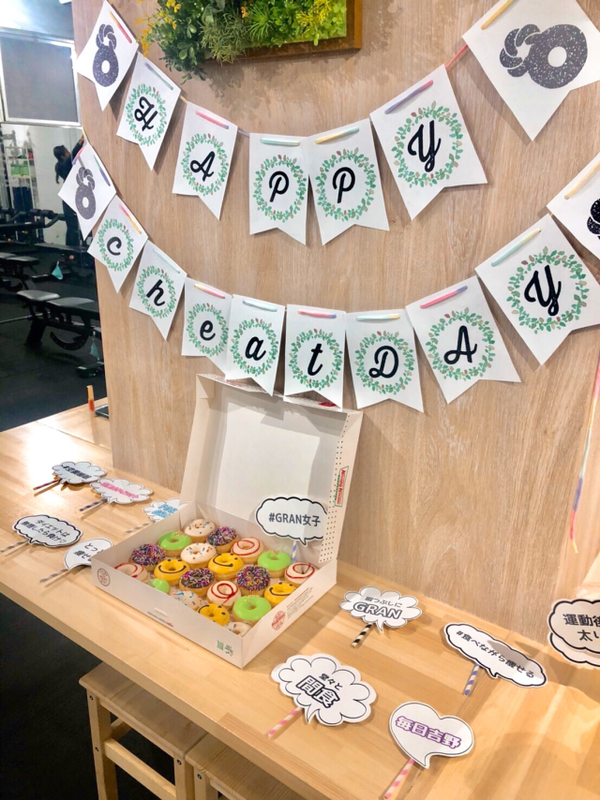 Hey, there's not not only physical health you know, there's mental health, and donuts go a long way to supporting mental health. Like chocolate! I commend this gym, they've got it all covered! On my cheat days I eat nails and drink vinegar! The 20 mini donuts from Krispy Kreme sell for ¥2000 per box. To breakeven on the ¥15,000 gym membership you'll need to eat at least 150 per month. The calorie counts for the mini donuts range between 141-146 each. That works out to about 21,150 calories. You lose 100g for every 770 calories you burn. That means by the end of the month you should gain around 2.7 kilograms (6 lbs). but perhaps a marketing genius - it definitely got people talking about the place! and then perhaps some will sign up! M3M3M3: "I've crunched the numbers." I need a donut to calm down. The new trend in Tokyo is that you have to reserve a bench or squat rack for 30 minutes because Ghosh forbid you have to interact or share with someone. So my workouts are now crap and irritating. I have to wait 30 minutes for a pencilneck to squat a broomstick as he stands around tapping the iPhone. This has prompted me to embark on street workout more and more. There is a U.S. chain of gyms called Planet Fitness which gives out free candy -- not just on Wednesdays, but every day, from what I hear. As far as I know, it hasn't been sued for doing so. 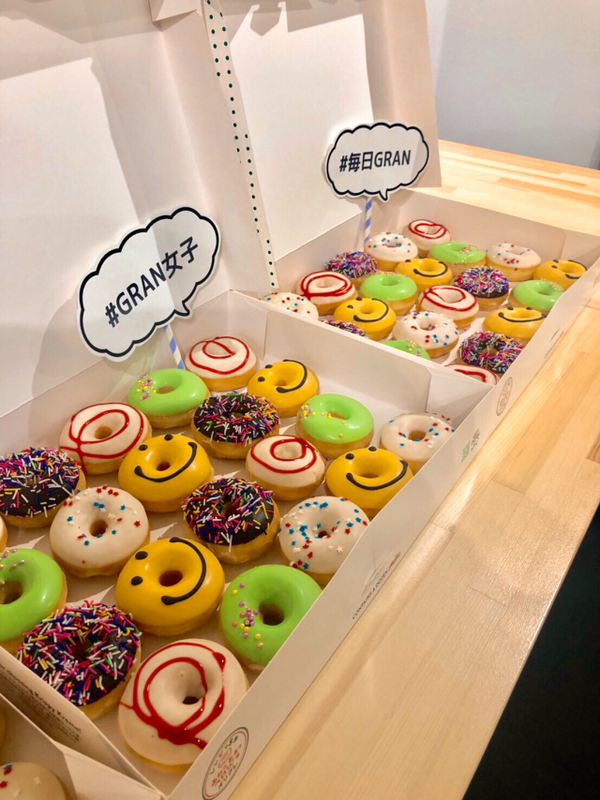 The key is to not give in to temptation every time it strikes, and so Gran only offers the sweets once a week, on Wednesdays, when it hosts a cheat day for members. Unthinkable in the west (esp 'fat' nations) but if there is one country where this could work then it's japan. From my experience, Asians (esp J women) don't really have much of a sweet tooth & are much more disciplined/strong-willed re diet, healthy eating etc than us westerners (how many times have i heard Asians say that tim tams, mars bars etc were too sweet). Don't think many j women would go to the gym to binge on free donuts (would probably feel guilty about eating one). Ha, a women only gym is so discriminatory. Why can't men and women coexist in peace and harmony? It also affects my mental health that i as a man am denied access to free donuts once per week.